Former Hoa Lo Prison jailor Tran Trong Duyet is seen in his garden in Hai Phong,Vietnam, Friday, June 27, 2008. Duyet was a jailor when John McCain was held in Hoa Lo Prison as a prisoner during the Vietnamese war. Sen. John McCain's Vietnamese jailer said he respected his former inmate and felt sad about his death, as others in Vietnam paid their respects to the former U.S. Navy pilot who became a prisoner of war and later was instrumental in bringing the wartime foes together. 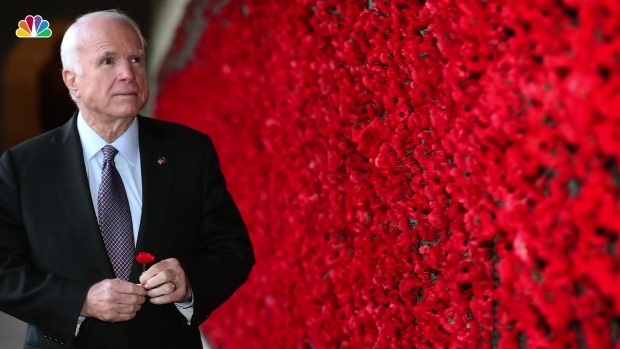 McCain's Skyhawk dive bomber was shot down over Hanoi in 1967 and he was taken prisoner and held in the infamous "Hanoi Hilton" prison for more than five years. Former Col. Tran Trong Duyet, who ran the prison at the time, said he met with McCain many times while he was confined there. "At that time I liked him personally for his toughness and strong stance," he told the newspaper Vietnam News, published by the official Vietnam News Agency. "Later on when he became a U.S. senator, he and Sen. John Kerry greatly contributed to promote Vietnam-U.S. relations so I was very fond of him," Vietnam News quoted Duyet as saying Sunday. "When I learnt about his death early this morning, I feel very sad. I would like to send condolences to his family. I think it's the same feeling for all Vietnamese people as he has greatly contributed to the development of Vietnam-U.S. relations," Duyet was quoted as saying. Duyet could not be reached for comment on Monday. McCain died of brain cancer on Saturday at age 81 in his home state of Arizona. Meanwhile, scores of people in Hanoi paid their respects to McCain at the U.S. Embassy and at a monument by Truc Bach lake, where he landed after parachuting from his damaged plane. Speaking to reporters after writing in a book of condolences, U.S. Ambassador Daniel Kritenbrink said McCain was "a great leader and real hero" who helped normalize relations between the former enemies. "He was a warrior, he was also a peacemaker and of course he fought and suffered during the Vietnam War, but then later as a senator, he was one of the leaders who helped bring our countries back together and helped the United States and Vietnam normalize our relationship and now become partners and friends," Kritenbrink said. 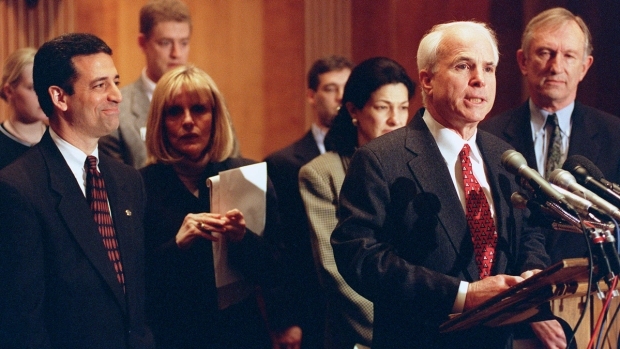 McCain and former Sen. Kerry played important roles in the normalization of bilateral relations in 1995. The Vietnam News Agency said Prime Minister Nguyen Xuan Phuc and National Assembly Chairwoman Nguyen Thi Kim Ngan sent messages of condolence to McCain's family and U.S. Senate leaders, while Foreign Minister Pham Binh Minh paid respects to McCain at the embassy. 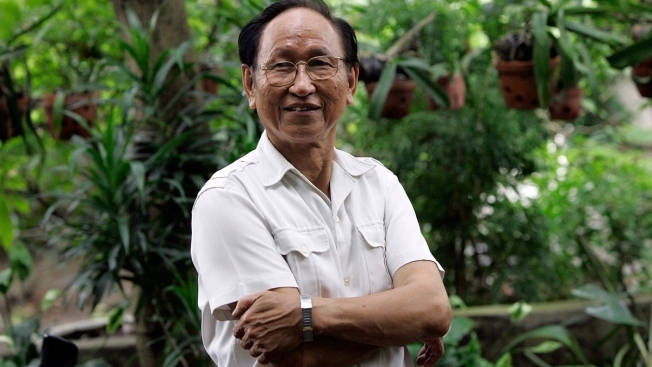 Pham Gia Minh, a 62-year-old businessman who signed the condolence book at the embassy, said he witnessed Vietnamese civilians being killed by the U.S bombings of North Vietnam, including the Christmas bombing of Hanoi in 1972, but he admired McCain for overcoming the difficult past to build better ties between the two countries. "War is losses and suffering," he told the AP. "But the will of a brave nation is to go beyond that to look to the future. The Vietnamese people have that will and Mr. John McCain has that will. ... We both have that will to overcome the painful past, overcome the misunderstanding to together build a brighter future." Hoang Thi Hang, a Hanoi resident who also signed the condolence book, said he had great respect for McCain's compassion. "He had compassion for everyone, whether they were rich or poor, whatever their background. And that is important in life." The U.S. Embassy announced it will launch a McCain/Kerry Fellowship in which a young Vietnamese leader committed to public service will be chosen each year to travel to the U.S. on a study tour to deepen ties between the two peoples.